In a bid to be more transparent about how advertisers are targeting consumers on Facebook, the Menlo Park, California-based company is getting ready to introduce a new version of its “Why am I seeing this ad?” information panel. The updated panel will reportedly include how each advertiser has chosen to target you and what kind of data they submitted to Facebook for targeting. The new information panel will start appearing to the Facebook users starting February 28. 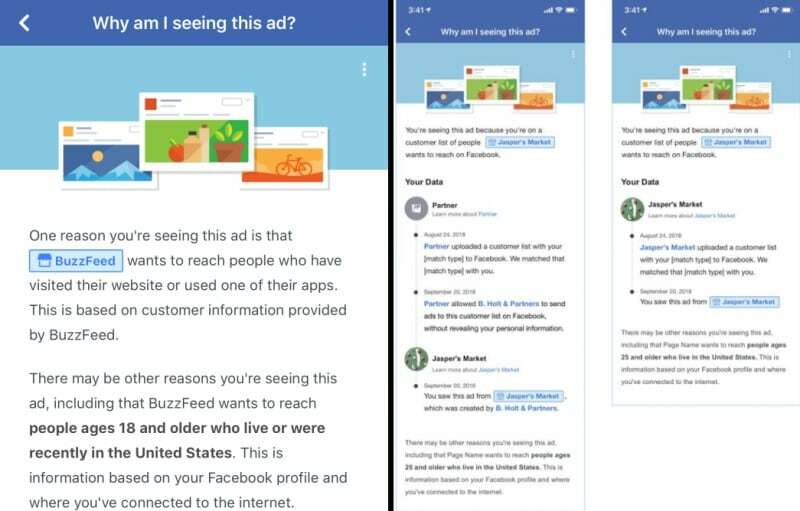 According to a report in TechCrunch, the “Why am I seeing this ad?” panel, which appears in the drop down of menu of Facebook’s feed advertisements, will soon show whether the advertisement was paid by the brand or an agency/ partner, when they had uploaded the user’s contact information for targeting, and when access was shared between partners. Facebook already reveals which brand paid for the advertisement, some biographical details of whom they are targeting, and if they had uploaded your contact information. Facebook had announced the change in a private post on the Facebook Advertiser Hub page. The TechCrunch adds that this level of transparency will be useful for the users and may help them in figuring out how an agency or brand got hold of their contact information. With this information, the users can make changes to their behaviour to stay more private if they want. The updated information panel is the latest in Facebook’s efforts to offer more data transparency. Earlier, the company had put in measures to confirm that data uploaded by advertisers on Facebook was obtained from legitimate means. The updated “Why am I seeing this ad?” panel will now show more of the information gotten from the advertisers to the Facebook users.